JoJo Gnome and I had never been to Gorebridge nursery before, but last week we were given a lovely welcome by the children and the staff there. They are having a very full and active festive season which includes African drumming and their Nativity play. 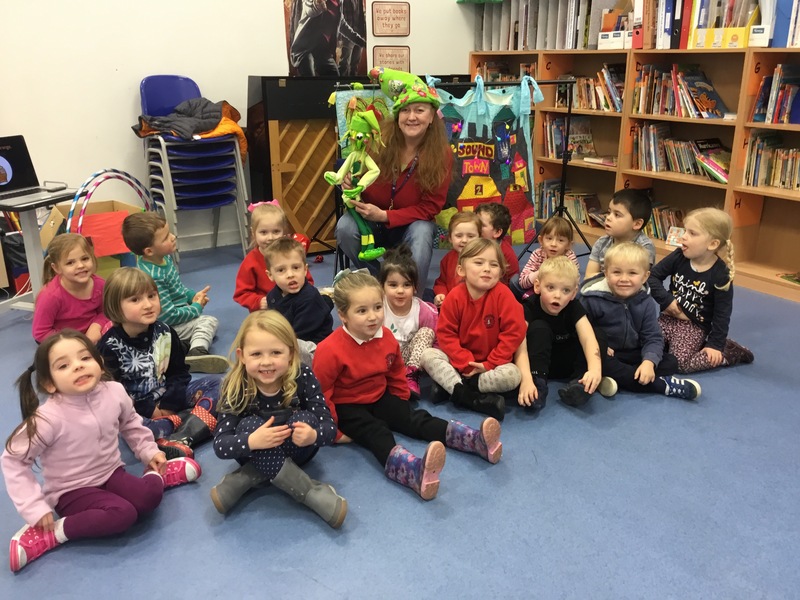 However they managed to find time to enjoy JoJo Gnome’s Winter Story Fun complete with a trip to ‘Sound Town’ and some dancing with dinosaurs. Both morning and afternoon classes had coloured in some christmas cupcakes before we came and drawn some lovely wintery backgrounds. When we had finished our storytelling they did some fantastic film making. Check out their films below. At the workshop we also read the new JoJo Gnome book – JoJo Gnome and the Cale Contest which is on sale now for Christmas. Thanks for having is Gorebridge! You can find more JoJo Gnome films on You Tube. We had a terrific time at my old primary school in Mosspark at the launch of JoJo Gnome’s new book ‘JoJo Gnome & the Cake Contest’. It’s a lovely wee story about when JoJo and his Aunty Molly enter a baking contest with some very interesting results. The book even has a yummy recipe that you can try at home. 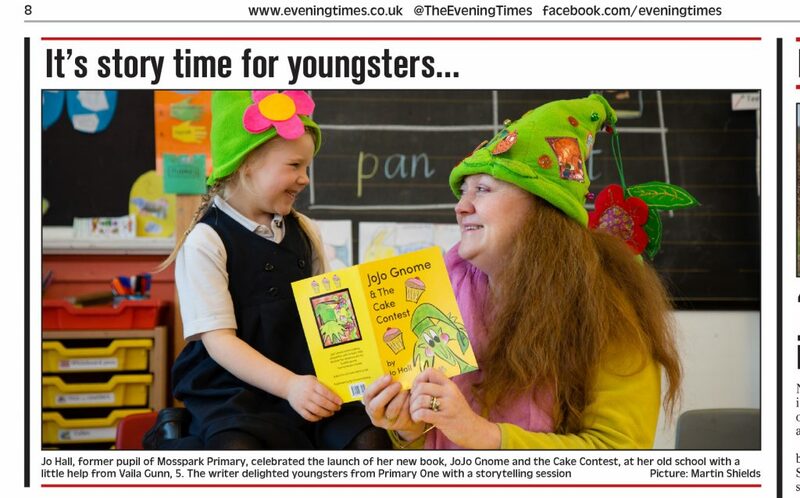 The pupils were amazing ...and Vaila and I got our picture in the papers in our hats! I had some lovely feedback from Mr Feist who runs the school’s twitter account. Twitter @MrFeist (Nov 16th 2017) – Great to see @JoJoGnome again today – first met her when she worked with the infants in @Elmvaleprimary and now that I’ve moved to @MossparkPS, I got to see her again! 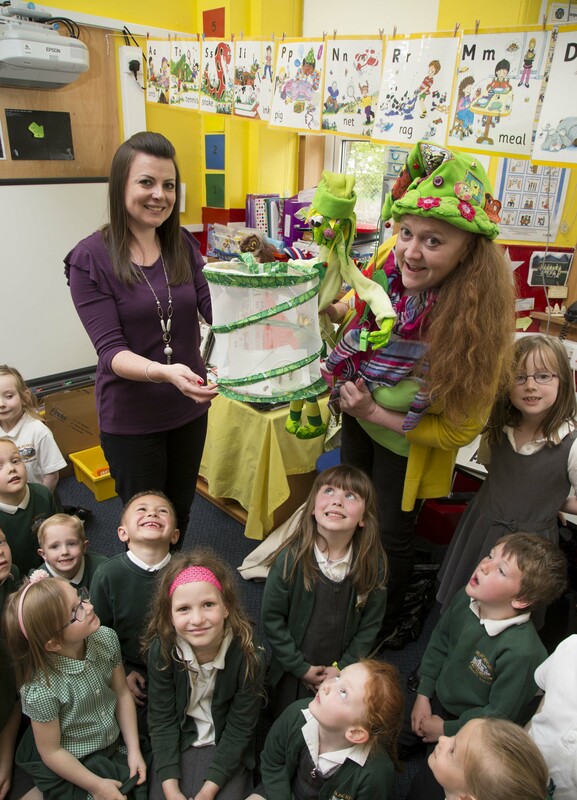 If you want an enthusiastic & inspirational author to visit your wee ones, @jojognomefun is the person! A good day all round. 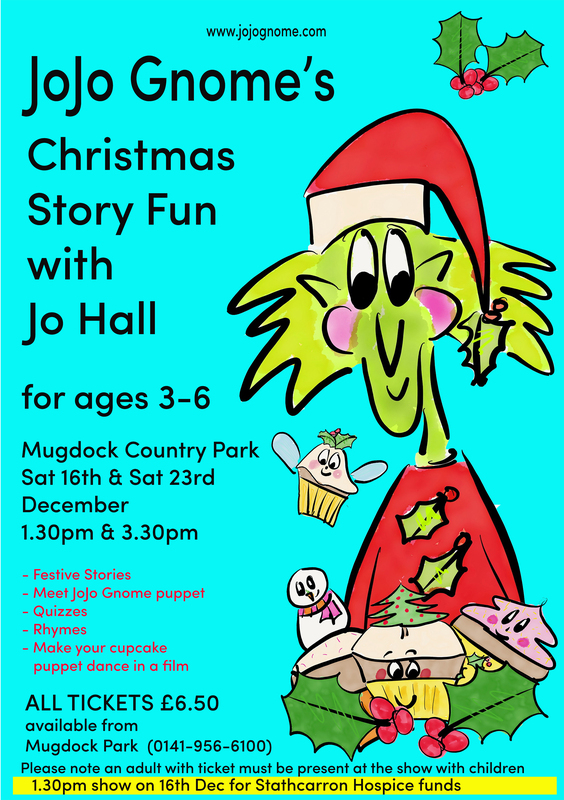 I am delighted to be able to share with you that JoJo Gnome’s Christmas Story Fun will be happening again this year at Mugdock Country Park just on the outskirts of Glasgow. 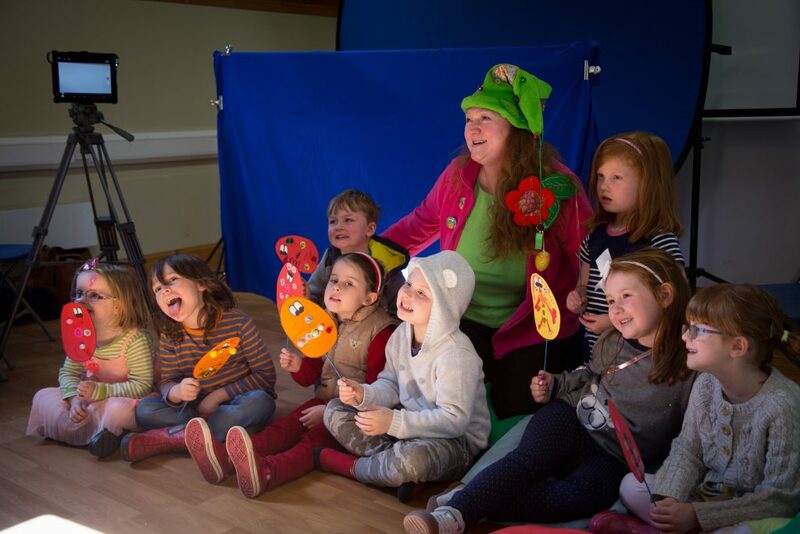 This is ideal for 3-6’s and includes storytelling, joining in with stories, a listening quiz and a smelling quiz and meeting JoJo Gnome (the puppet) and take a selfie! There will also be a chance to make your own paper puppet cup cake and have it dance in a film with JoJo! The film will be available on line for parents to enjoy at no extra cost. All packed into an exciting 45 minutes. So lots of fun for the family. This year there are 4 different shows to choose from. There are only 25 tickets for each show so book early to avoid missing out. Having smaller numbers means it isn’t so overwhelming for young ones and there is much more of a chance to get involved. There is a special show on 16th of December at 1.30pm £5.50 from each of the tickets sold will go to Starthcarron Hospice …which is local to us. So please get behind this as it is a great cause. 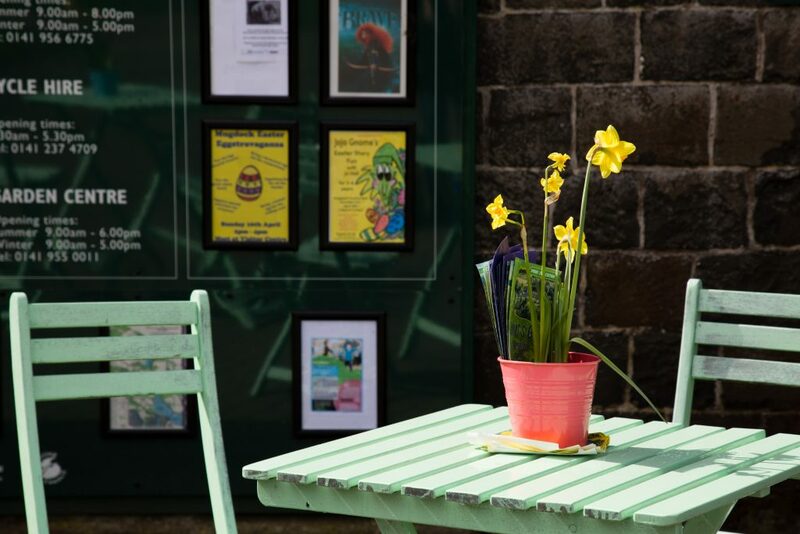 Tickets for all the shows can be booked from Mugdock Country Park (0141-965-6100). The ticket are £6.50 for both children and adults. A paying adult has to be present and stay with the children during the performance. 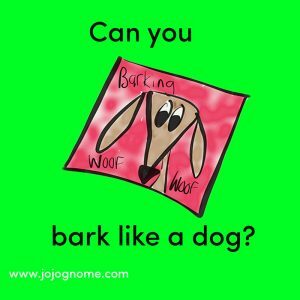 If you want to find out more please email jojognome@gmail.com. 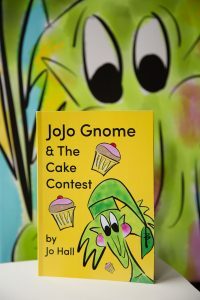 The new JoJo Gnome book ‘JoJo Gnome and the Cake Contest’ will be on sale. 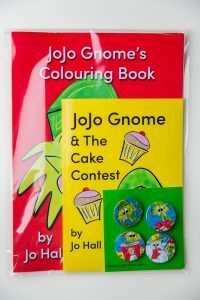 There will be special show offers on JoJo Gnome goodies including the JoJo Gnome Mega pack for only £10 (book, colouring book & badge). 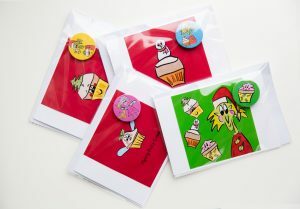 If you can’t get along to the show check out the online shop ‘All things JoJo Gnome’ on Etsy. 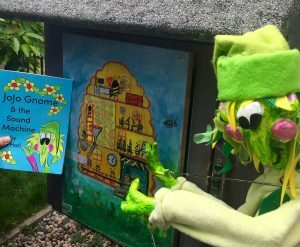 I was in Skye this year as part of the school programme at the Skye Book Festival with JoJo Gnome. I have been to this lovely island a couple of times before, but this time struck gold with the weather and was actually able to see the Cullins. The week before going to the school to visit , the pupils and I worked on a twitter story together which was amazing. I love working on these with the younger children as you can never predict where the story will go tweet to tweet. 12 tweets later we had the story of the Sad Monster. 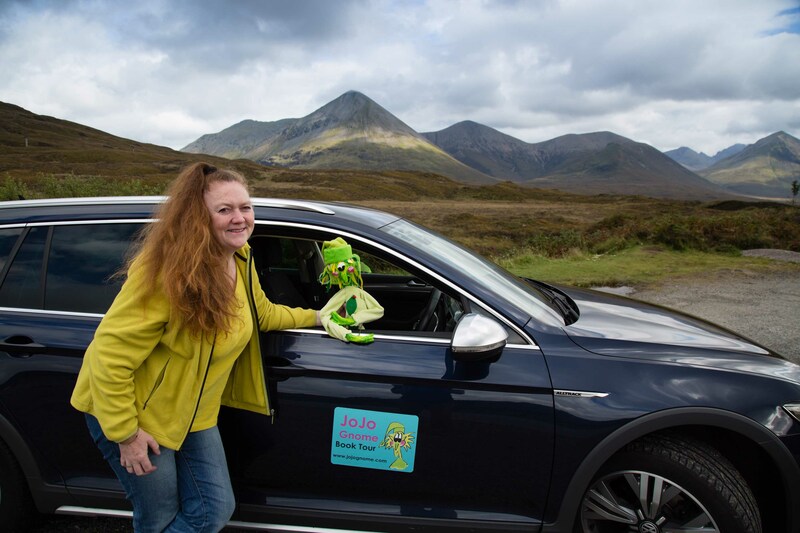 As it turns out they are no strangers to a giant creature in Skye as it was used as a location for the BFG film recently and The Transformers Film – The Last Knight. The younger class at Macdairmid Primary P1-3 (all 12 of them) made me feel most welcome. On the Friday we finished the story and had lots of other JoJo Gnome sound fun. This included reading from JoJo Gnome and the Sound Machine, making up some dance moves and animating some monsters we had made. Have a look and enjoy! 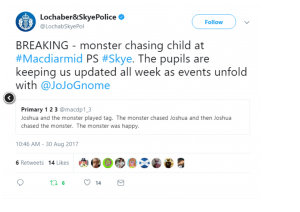 It was really fun getting the local community to join in the fun on twitter and on the local police community twitter feed they ran a breaking news story about a child being chased by a monster on Skye. 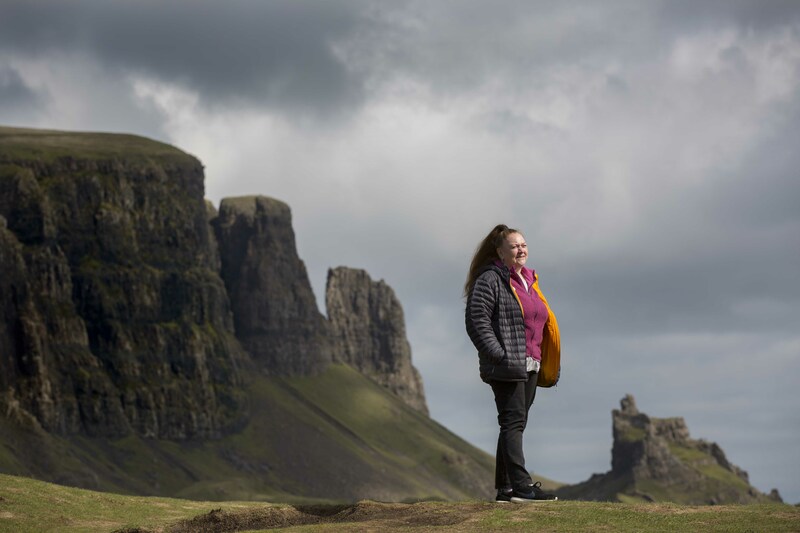 If you have never been to the island of Skye I suggest you remedy that and make a visit sometime soon…or if you can’t make soon then wait for next year’s Skye Book festival and combine the scenery and the literary. It is a beautiful island and next year the Skye Book Festival is on again in September. It has the added bonus that if you get seasick… there is a bridge over from the mainland. 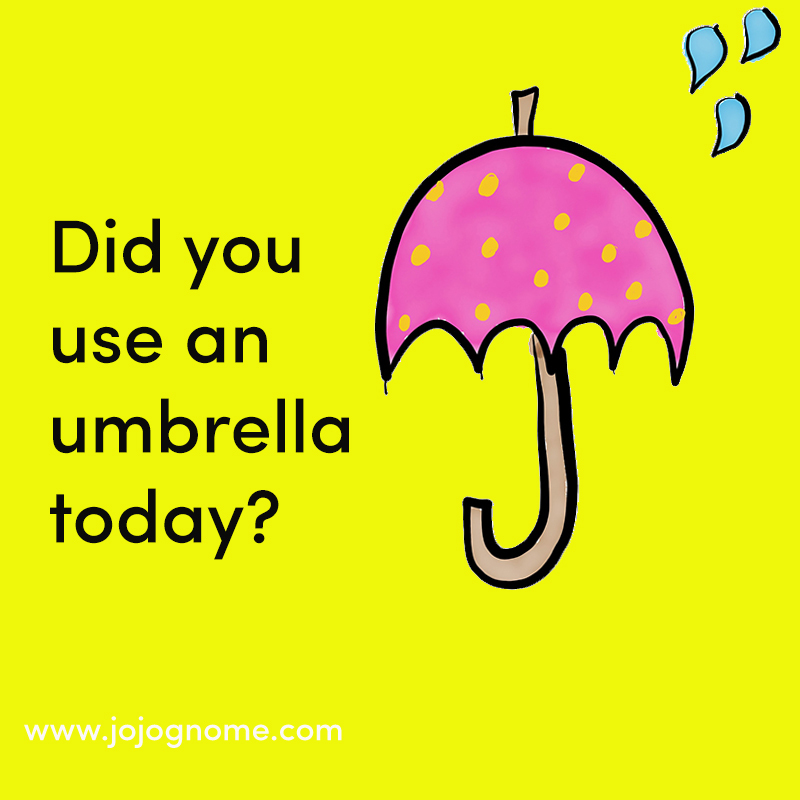 This month I have been posting on Facebook (@jojognomefun) on Instagram (@jojognome) and on Twitter (@jojognome) JoJo Gnome Challenges, questions, prompts, small games for parents and teachers to use. 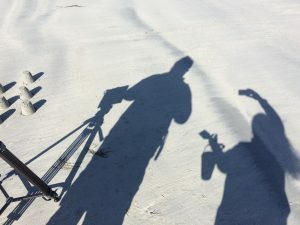 The idea is that these will stimulate a bit of fun time and give lots of chances to chat and share ideas. Nothing too long or in-depth …. no big projects or lots of prep. Short, sweet and fun! Here’s a selection of what’s been happening. 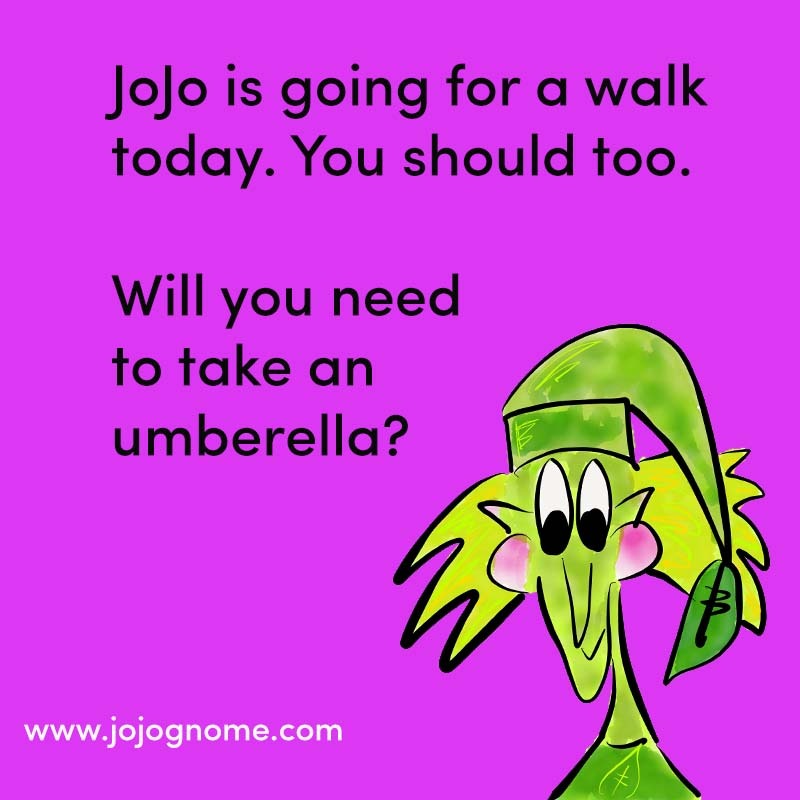 Please follow us on twitter and instagram… also like our JoJoGnome page on Facebook . 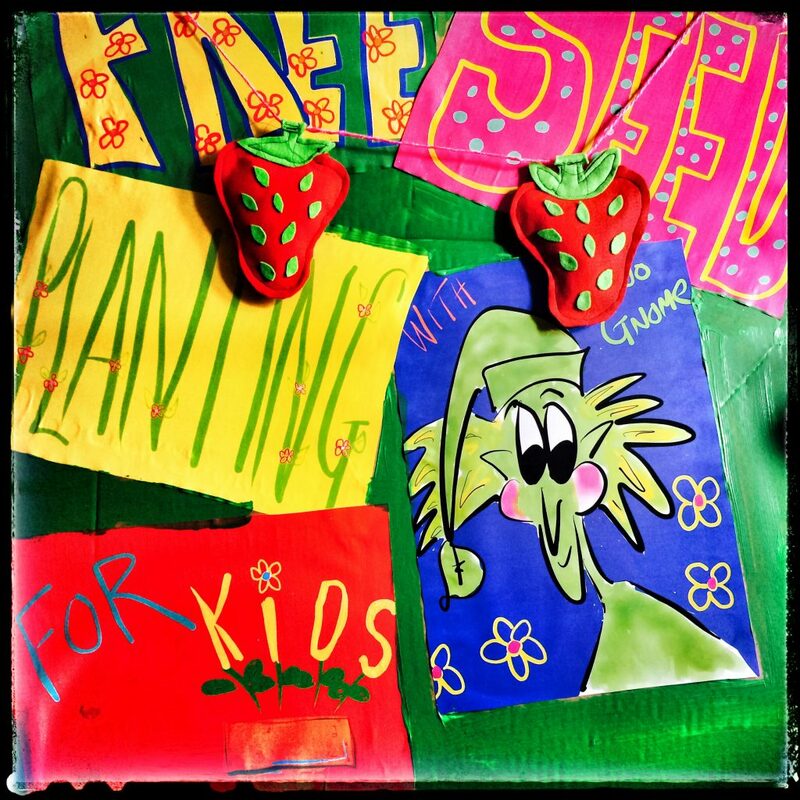 The Facebook page also shares lots of fun projects and ideas for early years. Lookout of a fun interactive twitter story coming up soon. 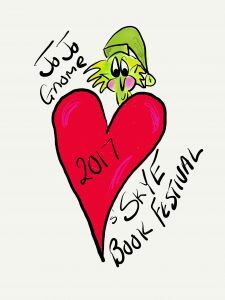 Also JoJo Gnome is off to Skye soon as part of the Skye Book festival. It’s holiday time and there’s lots to do … or not. So I’ve decided to come up with a mixture of JoJo Gnome summer challenges and questions just for a bit of fun. There will be a mix of physical, creative, indoor, outdoor and just plain bonkers!. 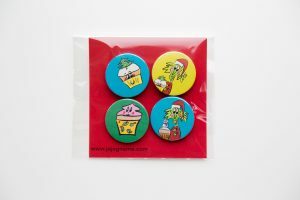 So look out for them on this blog, Also catch up with JoJo Gnome on twitter @jojognome & @jojognomefun. 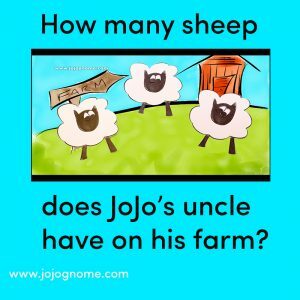 Why not go onto Facebook and catch up with what JoJo is doing there too. On Facebook I try to share as many toddler and young children’s crafts as I can too from lots of different people. 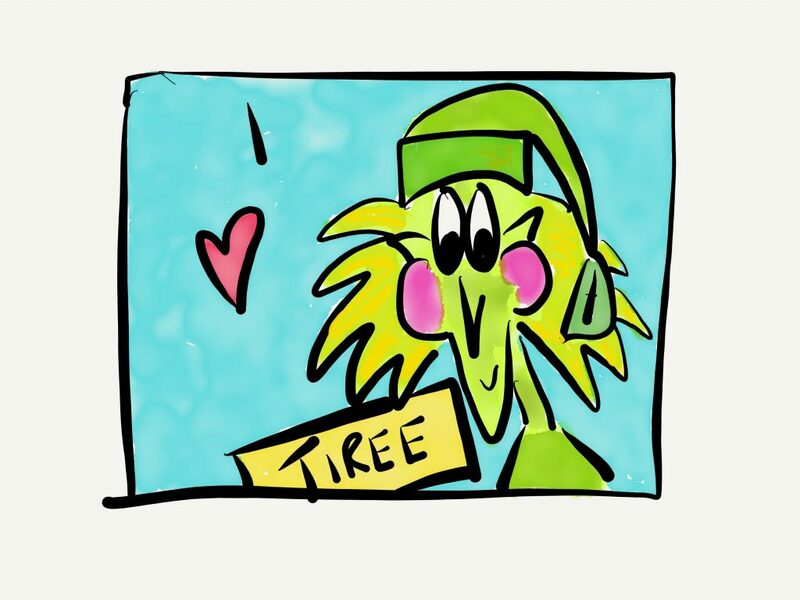 If pictures are your pleasure pop over and follow jojognome on instagram. 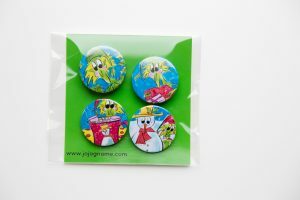 Don’t forget to check out JoJo Gnome’s summer fun page. 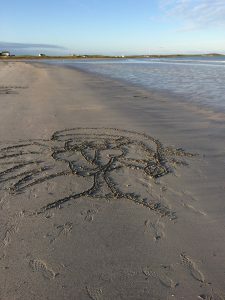 Where I go JoJo Gnome follows and this year we were once again on the beautiful Scottish Island of Tiree. This wee jewel is the perfect place for walking, writing and unwinding. It was also the place where I was convinced I should go on a bike again for the first time in over a year. The island is inspirational in so many ways and I always come away with lots of ideas. This year I have decided to have a summer fun page with some activities which the under 5’s ( and over 5’s too) might like to have a go at. 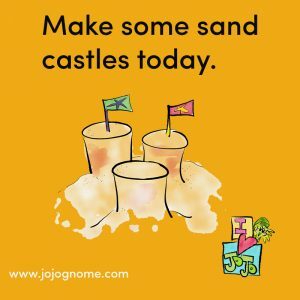 These will include quizzes, sand drawing (check out video here), making your own postcards and videos to watch on rainy indoor days. For the sand drawing videos I decided to do some stop frame animation on Gott Bay, which is a wonderful 4km long stretch of beach. With a bit of help I managed to finish the video just before the tide came in (phew) and washed away all of the art work. 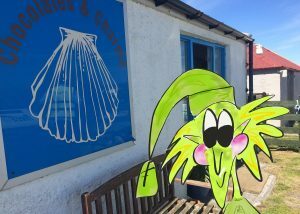 I was delighted that the lovely gift shop in Tiree ‘Chocolates and Charms’ will now be stocking JoJo Gnome books and badges. Drop in for a wee look if you are on the island. Rebecca who owns the shop also make her own lovely silver jewellery and delicious hand made chocolates. There are lots of other treats there too including ‘soor plooms’ (a very Scottish wersh sweetie) and pocket kites (who can resist!). 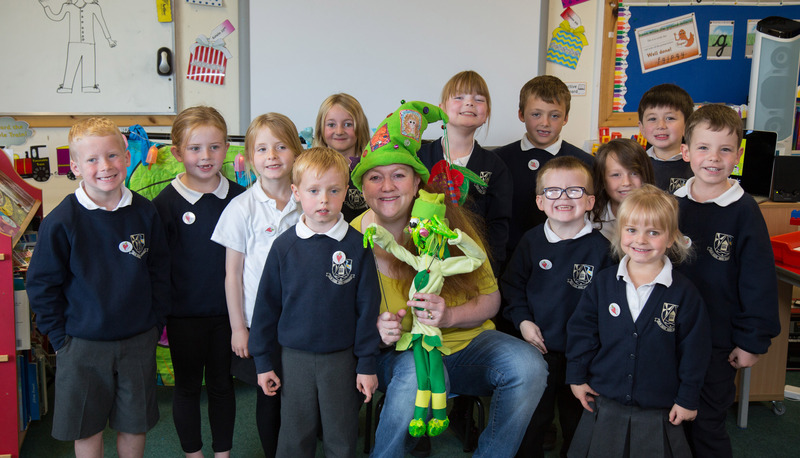 I had a lovely time this week visiting the pupils at Blackford Primary School. 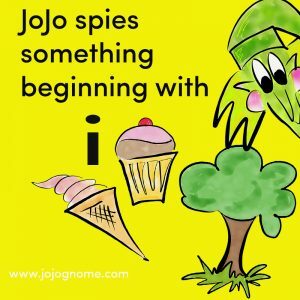 I shared the book JoJo Gnome and the Sound Machine with the P1/2 class and in return they shared, with JoJo and I, their ‘soon to be’ butterflies….how exciting, looking forward to getting some pictures of them before they are released into the wild. The fairies have moved under ground! 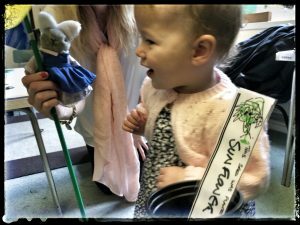 JoJo Gnome with a broom made of … broom! 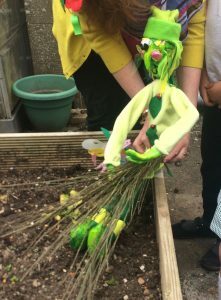 The main reason for my visit was the catch up with their ‘Guardians of Garden’ group who look after the school’s fantastic wee garden along with Nicki Nightingale. She has worked with the children over several years to make this a very special place. 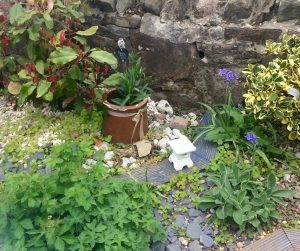 Their garden includes a sound area, lots of herbs, a throne, a secret underground ‘fairy’ bit and a book cupboard. JoJo put a copy of The Sound Machine book into the their outdoor library so they can enjoy a quick story after the planting and digging. 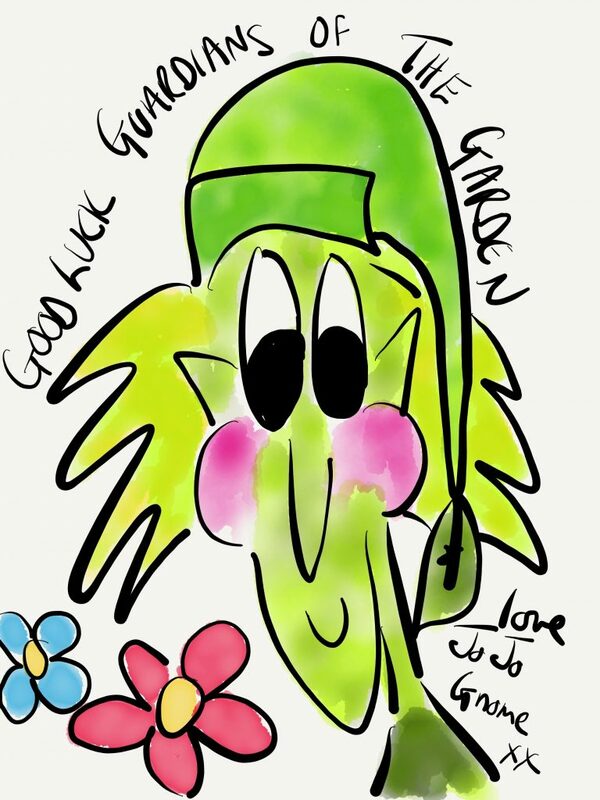 The exciting reason for the visit at this time is that the children are starting to get ideas together for their JoJo Gnome inspired planter which they will be entering at Gardening Scotland schools competition this June..It will feature their own characters Blackford Bob and Blackford Bailey… great fun. They have been successful in past years with their gardens, so JoJo and I have fingers crossed for you for 2017. I’ll let you know how they get on. 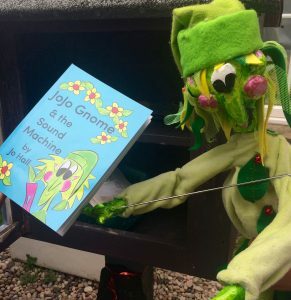 If you want to read the book, JoJo Gnome & the Sound Machine, which inspired the children then you can buy it here. Even though it was pouring down today we had great fun planting seeds at our local charity plant sale. Mia, Lucy and Millie were three budding gardeners who rose to the challenge. 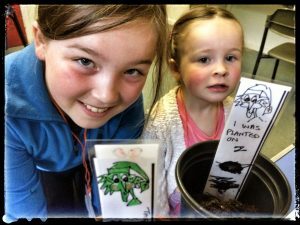 Seeds were planted and laminated plant labels made. Looking forward to seeing how big those sunflowers grow! 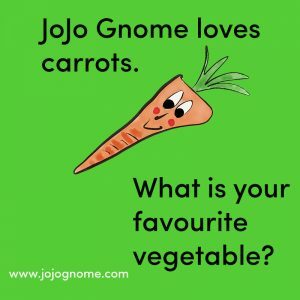 Remember there is a Sow and Grow with JoJo Gnome ebook! 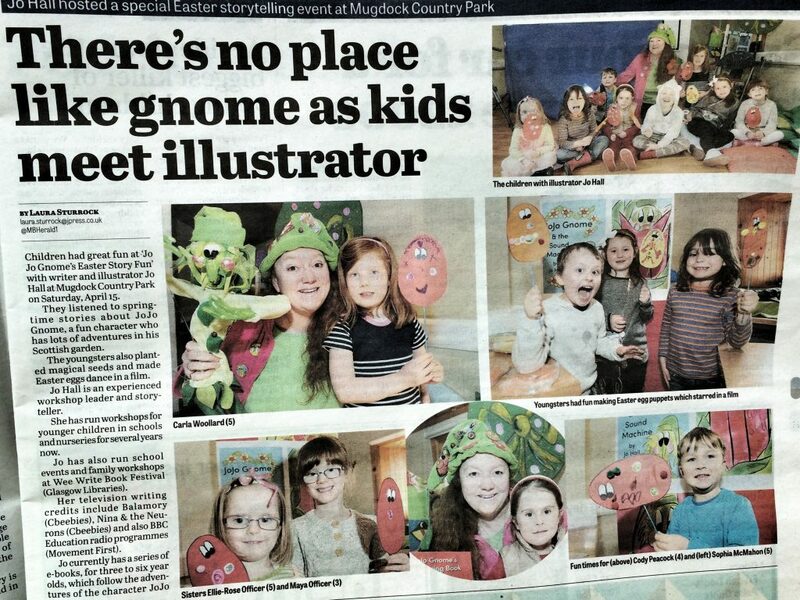 There was a lovely round up of pictures taken by the Milingavie and Bearsden Herald of our Easter Story Fun Event. Can you spot anyone you know? 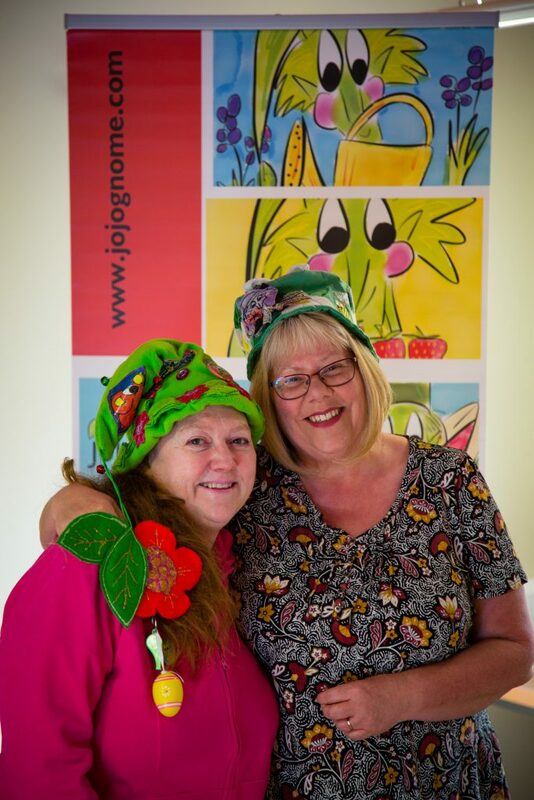 We had such a lot of fun at JoJo Gnome’s Easter Story Fun this Easter Weekend. Lots of stories were told, we all climbed the magic Easter Egg plant and of course made Ester Egg puppets and had them dance. We even had a visit from the local paper. Enjoy the photos from the event and the children’s film below. 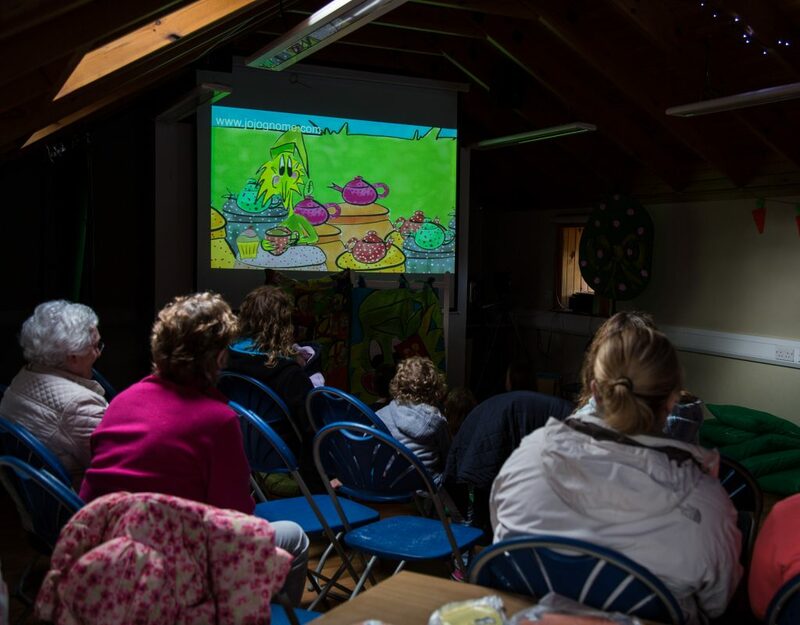 If your looking for more Springtime JoJo Fun check out our activities page.You’ll find films, a sound hunt and colouring.